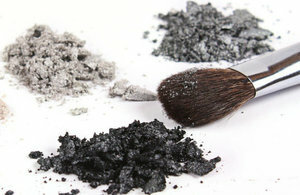 The European Commission has published a new regulation, Commission Regulation 2016/621 amending Annex VI of the Cosmetic Products Regulation 1223/2009 to include a new entry for zinc oxide in the nano form as a permitted UV filter in ready to use cosmetic products. The new entry – 30a zinc oxide (nano) – is in addition to the existing entry 30 for zinc oxide, and authorises the use of zinc oxide in the nano form as an approved nanomaterial ingredient. This ingredient is used mainly in sunscreens but may also be used in other cosmetic products intended for dermal application. For entry 30a zinc oxide (nano), physiochemical properties have been specified including minimum purity, acceptance criteria for median diameter of the particle number size distribution D50 at specified diameters, water solubility and permitted named coatings. In setting restrictions the regulations have still to reference methods to specify how particle size measurements will be made, as well as associated methods used in assessing nanomaterials including measuring water solubility. Many projects relating to the analysis of nanomaterials are currently under development within ISO and CEN standardisation committees. In addition various EU organisations, such as the European Commission Joint Research Centre (JRC) and the European Association of National Metrology Institutes (EURAMET), have been involved in research activities to develop methods for the characterisation of nanomaterials. An example is the ‘Chemical and Optical Characterisation of Nanomaterials of Biological Systems’ (NanoChOp) project, funded by the European Metrology Research Programme (EMRP).